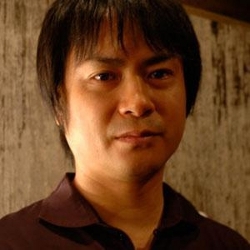 Yuzo Koshiro is an influential video game composer and sound programmer, as well as the president of long-running video game developer Ancient. Born on December 12, 1967 in Tokyo, Yuzo Koshiro was introduced to classical music from an early age by his mother Tomo Koshiro, a former concert pianist. Learning the piano under her from the age of three, he took violin and cello lessons with other teachers later in his childhood and studied basic composition techniques for three years under the now famous Joe Hisaishi. Otherwise entirely self-taught, Koshiro’s use and appreciation of genres such as rock, fusion music, funk, hip-hop, and techno comes from independent listening during his adolescence; though he appreciates the music of Bach, Mozart, and Beethoven the most, he likes to embrace all musical styles and integrate them uniquely into his own music. During his adolescence, he sometimes missed classes to play games such as Gradius, Space Harrier, and Tower of Druaga from the mid ’80s at arcades. Feeling endeared by their strong melodies and distinctive sound chips, these games developed Koshiro’s passion for game music. Such experiences inspired him to record pieces directly from arcade machine speakers and reproduce them using his personal computer. Koshiro soon created original PSG-generated music himself. While this process was compositionally demanding, he also required extensive programming knowledge to compose with PSG and, later, FM synth – this turned out to be the most difficult part of the process. The composer submitted his pieces to the Microcomputer Basic Magazine under the pseudonym YK-2 and proved so popular with readers that he was described as a ’PSG God’. Having considered becoming a game programmer and composer for several years, he received his opportunity to enter the industry at the age of 18. 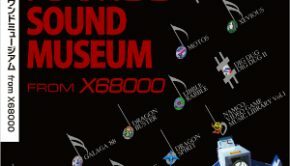 On reading an advertisement in a games magazine, he learned that RPG developer Nihon Falcom were recruiting composers; encouraged by his mother, he sent a demo tape featuring several diverse themes – which have since published on his Early Collection 2nd CD – and was subsequently hired as a composer. During his two years of employment at Falcom, Koshiro co-composed, sound programmed, and designed sound effects for six hit games for early Japanese computers such as the PC-8801, MSX, and X1. He initially produced four compositions for 1986’s Xanadu Scenario II (part of Dragon Slayer II) alongside Takahito Abe; still a beginner, he composed blindly with the intention of creating PC game music with the same drive as the arcade game music he liked at the time. Koshiro went on to create the music for three subsequent titles in the Dragon Slayer line. He underscored the opening movie for Romancia, channelling influences from the band The Alfee, before taking a large role on the Konami-influenced score for Legacy of the Wizard. Having established himself at Falcom, he went on to create two thirds of the score for the scenario-based RPG Sorcerian, one of his defining older works. The composer wasn’t inspired by the differences between the scenarios and instead simply composed music he liked; it was only after completing the score that he referenced the visuals and assigned pieces to the scenarios that fitted best. He ensured that the quality of the score was preserved by developing a very high quality sound driver and using rich tonal colours. Koshiro concluded his time at Falcom with the scores to the first two instalments of the Ys series for the PC-8801. 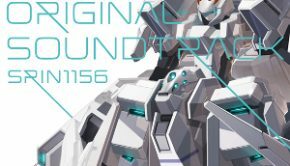 In these titles, he focused much more on complementing the game’s visuals with a range of pieces; he mixed mellow melodic compositions, upbeat action tracks, and atmospheric location themes to immersive effect. Koshiro has stated in retrospectives that he feels completely satisfied with the score to Ys I: Ancient Ys Vanished Omen and still enjoys listening to the score over 20 years on, associating it with fond memories of his youth. Koshiro’s contributions to the Dragon Slayer and Ys franchises were incredibly influential for the development of Falcom’s music. Most of his themes have featured in numerous ports, remakes, and sequels of the original games, and have also inspired many who went on to compose for the Falcom Sound Team J.D.K. Koshiro’s compositions for Ys I, Ys II, and Sorcerian have also become a principle component of numerous Falcom albums – spanning symphonic performances, to vocal renditions, to the incredibly popular rock performances of the J.D.K. Band. Despite creating such iconic music, Koshiro does not own the copyright for the hundred or so compositions he made as a resident employee at Falcom and has received none of the profit from these successful albums. He also received no official recognition for them, given only the Falcom Sound Team J.D.K. were accredited. At the time, the artist also disapproved of many arrangements of his music – particularly criticising Ryo Yonemitsu’s arrangements for the famous TurboGrafx-16 versions of Ys I and Ys II for betraying his original intentions. Feeling he had been exploited by Falcom and would never gain individual recognition if he continued to work there, he left the company after completing work on Ys II to become a freelancer. Koshiro soon received popular recognition as a freelancer after a period of stylistic exploration. He initially created melodic scores for several lesser-known titles for the X1 and PC-8801, namely Ojousama Club, Dark Storm, and The Gate of Labyrinth. On 1988’s Algarna, he explored the Baroque-influenced style that he previously touched upon on Ys I’s “Church”. He also greatly enhanced the quality of the score by developing his own custom FM synthesizer driver, the MUCOM88. Continuing to use the sound driver in subsequent works, he explored Eurobeat elements for the first on the score for Bothtec’s The Scheme and Quintet’s Misty Blue, ensuring a greater mainstream pull than much other game music released at that point. In late 1989, Koshiro established a relationship with record label Alfa and personally produced albums featuring two sound versions and five arrangements from The Scheme. The cover art exposed Koshiro’s name and face to the world, while a release dedicated to Misty Blue soon followed. He also experienced many challenges creating the disco score for M.N.M.’s Thrice, but proudly released the end results in his first Early Collection CD. Koshiro also ported and supplemented the score for two of his favourite arcade titles – Bosconian and The Return of Ishtar – between working on the movie adaptation No Life King. In 1989, Koshiro was hired by Sega AM5 for the first time after the developer heard his earlier works through his mother. On their behalf, he initially composed the hit Genesis platformer The Revenge of Shinobi (aka The Super Shinobi). While another melodic score, the diverse stages mixed influences from oriental, techno, funk, jazz, power rock, and industrial music, referencing even Prince’s “Batman”. Koshiro used his programming expertise to create a custom sound chip that articulated his compositions in a powerful manner regardless of the style integrated. The game is Koshiro’s biggest breakthrough in terms of popularity in the West — in no small part thanks to his name featuring prominently on the title screen — and its soundtrack, published four days after The Scheme’s, was a big hit. Koshiro achieved further recognition with the hybrid game title ActRaiser. While he found the Super Nintendo demanding to work with, its more advanced specifications gave Koshiro the opportunity to integrate clean and convincing custom orchestral samples nevertheless. The score continued to exhibit the composer’s strong sense of melody and harmony, despite its leanings towards John Williams’ scores. The subsequent year, arranger Koshiro and orchestrator Kaoru Wada recorded a charming symphonic suite for the game with the Shinsei Nihon Symphony Orchestra. Following these successes, Tomo Koshiro founded the family-based game development company Ancient in 1991. Among its fifteen or so employees were her son Yuzo, already reputable for his composition and sound programming, and her daughter Ayano, who was an artist and character designer on games like Ys and ActRaiser. Ancient’s first effort was 1991’s Game Gear version of Sonic the Hedgehog; despite the transition from 16-bit to 8-bit, the graphics and audio were of comparable quality to the original. Yuzo Koshiro created the score in the spirit of Masato Nakamura’s original, blending three direct reprises with a number of novel compositions. He took a similar role in the Game Gear’s Shinobi the same year. His breakthrough 1991 work, however, was the beat ’em up Streets of Rage (aka Bare Knuckle), developed by The Revenge of Shinobi’s Sega AM5. Gamers were immersed by the contagious beats, booming bass lines, and enticing treble frills featured through this house score. The work was created using a NEC computer with a programming language Koshiro personally developed, affectionately called ’Music Love’. Between such roles, Koshiro also appeared on several collaborative arranged albums with ambitious contributions, namely MCMLXC, MCMXCI, Great Wall, and Techno Trance and Torment Music. Given his increasingly busy schedule, Koshiro created several scores alongside Ancient’s assistant composer Motohiro Kawashima from 1992. Serving as sound producer on the Game Gear’s Batman Returns, Koshiro inspired his trainee. The pair subsequent worked on the Game Gear’s Shinobi II: The Silent Fury together, offering original compositions later featured in Koshiro’s second Early Collection. Also that year, Koshiro produced the Caribbean-influenced soundtrack to Hudson Soft’s Japan-only Super Adventure Island; the score’s exotic percussion rhythms, pseudo-improvised melodies, and jungle beats complemented the setting of a monster-ridden tropical island. Around the same time, he also worked on several lesser-known projects such as the cancelled The Stickman is Back and the little-known Slap Fight, also featured in his Early Collection 2nd CD. The following year, Koshiro and Kawashima created the score to Ancient’s second fully developed game, Streets of Rage 2 (aka Bare Knuckle II). The game featured many hard techno compositions and appealed to mainstream listeners even more than its predecessor. At the height of the Juliana’s boom, Koshiro visited many dance clubs to gain musical inspiration and regularly listened to DJs such as Maxi Priest, Soul2Soul, and Blackbox. The ever-reflective composer once stated that he considers Streets of Rage 2 and ActRaiser to be his greatest works. Fans seem to agree. Koshiro concluded the 16-bit era by offering several more innovations. His brief score to ActRaiser 2 blended avant-garde orchestrations of ActRaiser classics with original neo-Baroque compositions; darker and denser than its predecessor, it was never commemorated with a soundtrack release. For 1994’s Streets of Rage 3, Koshiro and Kawashima adopted an oppressive industrial and hard jungle style with the help of an automatic music generation program made with C++. The artist was well-aware that the daring and inaccessible work would split opinions, but still regards it as a valuable innovation. On Ancient’s RPG Beyond Oasis (aka The Story of Thor), Koshiro combined the roles of a composer with that of a game producer for the first time. While the inspired title was high acclaimed, perhaps its score was its most innovative feature; having started seriously studying orchestration around this time, he offered a dense polytonal score influenced by modernist composers such as Stravinsky. Also that year, he further demonstrated his emotional maturity with his subtle use of dark electronica for the redbook audio score to the Sega CD’s Advanced Dungeons & Dragons: Eye of the Beholder. In addition, he managed to squeeze in directing Ayako Yoda on Robotrek, before concluding the era with the shore score for the parlor simulation Miracle Casino Paradise. Following such heights, Koshiro dedicated 1995 to 1998 to creating experimental scores for the doomed Sega Saturn. Ancient developed Legend of Oasis (aka The Story of Thor 2) close to the console’s launch, but it was poorly received relative to Beyond Oasis both commercially and critically. Koshiro’s soundtrack was nevertheless a notable work. Rather than create a conventional looped score, he focused on conveying a cinematic sound inspired by late romantic symphonists – with most tracks developing towards dramatic peaks before fading out to silence – and left most of the gameplay in silence. Koshiro attained a high quality sound by implementing the score on the Sample Cell2 sampler and streaming it from the Saturn. While the approach was controversial, Koshiro proudly handed out some CD-Rs featuring the game’s music to fans. Koshiro’s outrageous musical approach on Ancient’s multiplayer action game Vatlva largely went unnoticed the following year. The redbook audio score was dominated by a wide variety of vocal samples that referenced hip-hop, trip-hop, soul, chanting, and more. These samples were blended with heavy beats, novelty sounds, and instrumentals in all sorts of styles to create an unprecedented fusion. Subsequently, the composer mixed ambient sounds, electronic beats, and orchestral flourishes to score the Saturn adaptation of Zork I: The Great Underground Empire. In 1997, Koshiro co-composed the classically-oriented small ensemble score to Culdcept with his new composing partner Takeshi Yanagawa. Together, they wrote two whimsical stage themes and a dramatic battle theme for each of the game’s worlds. 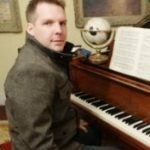 Going on to headline the team of Dreamcast epic Shenmue, Koshiro created 15 compositions and three orchestrations over a six month period. He found the project demanding given its magnitude and director Yu Suzuki’s firm control throughout. Between writing a vocal theme for the original album Ten Plants,Koshiro subsequently worked on Ancient flops Tamogotchi Pack and Anime Chick Story 1: Card Captor Sakura due to his family commitments. These projects reflected the difficulties of a small company trying to meet the financial demands and tight deadlines to develop for more advanced consoles. Koshiro also directed members of the Ancient team for over six months in 1999 to produce a demo of Streets of Rage IV for possible Dreamcast development in 1999. Despite Sega of Japan seeing potential in the project, Sega of America dismissed it given many of its executives had never heard of the series. As a result of all these blows on Sega’s final consoles, Koshiro became skeptical about the direction the game industry was going and considered leaving the industry. In the last decade, Koshiro has distributed his time between his administration responsibilities with his composing projects. In internal roles, he was responsible for creating the light-hearted funk score for the Game Boy Advance’s Car Battler Joe in 2001; after several ambitious scores, he found it refreshing to once again write for a humble sound chip on the title. He was also responsible for establishing the concept of Ancient’s modestly received GameCube title Amazing Island a couple of years later. Also serving as the title’s sound director, he complemented the title with an assortment of cheery tunes and exotic sound effects. Outside the company, Koshiro has had roles in anime adaptations such as Bakuten Shoot Beyblade 2002 and Dokapon the World. More prominently, he has established a long-running collaboration with Namco on their video game adaptations of the manga Wangan Midnight. For the original title, Koshiro incorporated a wide variety of stereotypical scoring approaches – combining emotional piano and orchestra emulations with action-packed rock and techno tracks. For Wangan Midnight: Maximum Tune, the artist was requested to create a score inspired by mainstream trance movements. While he was unfamiliar with the genre, he found it straightforward to adapt his approach given his long-standing passion for other types of dance music. Maintaining a strong reputation in the game music industry, Koshiro’s contributed to numerous titles between 2003 and 2007. He memorably brought a modern spin on Balrog’s boxing anthem for the Street Fighter Tribute Album, between offering bonus remixes for Pink Sweets Ibara and Ikusa Otome Valkyrie. Also pursuing roles as a DJ, he performed a 50 minute Streets of Rage medley during 2004’s Legend: Game Music Club Event – since featured on the series’ compilation album – and went on to become a regular contributor to the Linear series. Always one to diversify, he continued to explore symphonic music too, notably composing two fantasy orchestrations to Merregnon and reinvigorating some Nintendo classics on Super Smash Bros. Brawl. On behalf of Thomas Boecker, he also contributed intricate arrangements of Sonic the Hedgehog (PLAY! A Video Game Symphony),New Super Mario Bros. (Fifth Symphonic Game Music Concert), and Jim Power in Mutant Planet (Symphonic Shades). The artist has also pursued vocal music with guest contributions to Dance Dance Revolution Extreme 2 and Namco x Capcom. He took the opening and ending themes of the latter to the stage at the historic Extra: Hyper Game Music Event 2007; for the first time in 20 years, he also revisited his scores from Ys and Sorcerian with piano solos – aware of the recognition they eventually gave him. The glorious reaction resulted in his return to the subsequent year’s event. In 2006, Koshiro commemorated the 20th anniversary of one of his favourite series, Castlevania, with some excellently received guest arrangements. He subsequently imbued a nostalgic yet distinctive soundtrack for the soundtrack to Atlus’ dungeon crawler Etrian Odyssey (aka Sekaiju no MeiQ) at request from director Kazuya Niinou. Bringing back out his PC-8801, he combined the sounds of the PCM sound chip with the dynamics and density of modern audio. The soundtrack placed Koshiro at the centre of the retro movement that has emerged through the DS. A sequel followed the following year, incorporating richer labyrinth themes, bolder action tracks, and even some subtle references to classic game music. The marketable scores inspired four hit arranged albums – where he has served largely as a supervisor to GEM Impact, rather than an active arranger – and have also been subject to doujin interpretations and live performances. Coinciding with this success, the composer revisited his classic work by releasing two best collections and reprinting his early compilations. Nevertheless continuing to have ambitions as an orchestral composer, he simultaneously wrote a dark cinematic score for Warriors of the Lost Empire. Also still enjoying electronic music, Koshiro wrote further tracks for Maximum Tune 2, 3, and DX. On each title, he referenced the most current developments in the mainstream trance scene and also incorporated some vocal tracks. Koshiro also reunited with Kazuya Niinou once again to score Sega’s RPG 7th Dragon in 2009. In order to differentiate the title with the Etrian Odyssey series, he offered modern samples and thick instruments throughout – charting territories ranging from sweeping orchestral themes to ethnical inspired explorations. The soundtrack nevertheless featured an 8-bit version to endear old-school gamers. 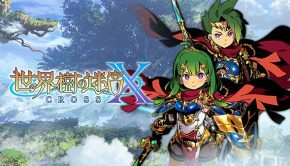 A third Etrian Odyssey title soon followed and Koshiro intentionally took the series in a “drastically different” direction to maintain its freshness of the series’ music – shifting the focus from mellow to adventurous themes, many reminiscent of classic 8-bit titles. The artist also received a taste for scoring MMORPGs with Dragon Ball Online, working closely under Akira Toriyama throughout; the project proved particularly challenging because of the amount of music required for the continual patch updates. He further explored alternative media by scoring instalments of Jaiseiken Necromancer for iOS and DSiWare, contributing special tracks for the parodic shooters in the Otomedius series, and writing the drama album P.S. Three-san. Further developing his skills as a songwriter, he also created a catchy theme song for the television program No Life, handled the theme songs for Criminal Girls and Escape Game RPG, and offered a mesmerising remix on the DeathSmiles Arrange Album. During his 26th year in the industry, Koshiro scored three sequels, but still maintained novel approaches on each. The futuristic Tokyo setting of 7th Dragon 2020 demanded a major shift in direction for the franchise – from fantasy orchestrations to cutting-edge electronics – though the release still shared a vast, explorative quality. By contrast, his new direction on Etrian Odyssey IV: Legends of the Titan was a personal creative choice; feeling he had explored retro directions far enough, he filled this title with rich instrumental performances that still captured the ambience of the series. By contrast, with Wangan Midnight Maximum Tune 4, Koshiro focused on evolving rather than transforming the sound of the series; he stuck to matching the game’s twilight visuals with a trance focus, but still tested new concepts to offer by far the series’ most diverse soundtrack to date. The same year, Koshiro also completed the light-hearted pop-flavoured score for Toki Towa and produced a light jazz-flavoured accompaniment to Layton Brothers: Mystery Room. The artist was also invited to join the ensemble score for Kid Icarus: Uprising, making a contribution that was crucial to defining the sound of the game. After such a big year, it is unsurprising that he recognised at the Annual Game Music Awards 2012. Currently president of Ancient, Koshiro is responsible for managing and accounting at the company alongside his mother. In this role, he communicates with publishes and oversees about 19 employees, but has little active role in directing or producing most titles. Together with Takeshi Arai, he also serves as a sound director on most of the company’s titles and often composes himself. For example, he contributed some light techno pieces to Ueki no Housouku, which inspired the company’s co-composers throughout. Likewise, he created some jazz-tinged music for the internally developed Hitman Reborn titles and, given his passion for fighting games, also helped to check the final balance of the titles. His latest role score for the company was the independently published Protect Me Knight, where he complemented the developer’s 8-bit vision for the game with some NES-flavoured music. Koshiro has just started 2013 with a bang, having performed a well-received DJ set at MAGFest XI. He is currently working on the scores for 7th Dragon 2020-II and several unannounced projects. Koshiro is one of the most influential, versatile, and creative game composers of all time and will be forever known for ’doing so much with so little’. © Biography by Chris Greening (November 2007). Last updated on March 19, 2013. Do not republish without formal permission. Posted on March 19, 2013 by Chris Greening. Last modified on March 21, 2014.